Sathiguru Nanak Paatshah Jee says that there is no avar, no other who created this world. Outhabhuj in this sense, in this shabad means everything that was created. Everything that was created Waheguru, has come from within You. O God, You have created this whole universe. Jo keheeai - whatever is to be said, whatever you can say, whatever you can name; so prabh thae hoee - all of that is created by God. Everything you see with your eyes, and that which we cannot see, but which does exist; all of that is created by Waheguru. Waheguru is not here just for the span of a few years, or a few lifetimes, or a few centuries. Jugeh juga(n)thar - throughout all of time and during all of time, there is only one eternal sach, the eternal truth of Waheguru. He Who is The Saahib, Who is The Master of all of this universe. Throughout all of that time, The eternal Waheguru is The one that will remain. There is no other who outhapath - who creates; paralo - who destroys. Waheguru is The one Who creates, Waheguru is The one Who destroys; it's all in God's hands. Creation and destruction are all in the hands of Waheguru. No one else can create or destroy. When Baba Gurbachan Singh Jee interprets these lines, does katha of these tukkaan, they say that outhapath - all of those thoughts that are arising up in our heart, all of those desires and ego, paralo - Waheguru is The one Who destroys them. So gurmukh piaareyo, Waheguru is The one Who can creates everything, He is The one Who can take away. It is not in the hands of any human being. Such is my t(h)aakur, my Lord. Gehir - means deep, ga(n)bheer - means profound. Such is my deep and profound Lord Waheguru. My Waheguru is deeper than any ocean, my Waheguru is profound in anything on this Earth, and anything within any of the universes. Guru Teg Bahadur Jee Sahib says that The Naam will remain, The Guru will remain, and those people who meditate upon God's Name will remain. If you attach yourself to The eternal Waheguru, you will achieve eternity. What is the way of doing this? How can you attach to The eternal Waheguru? Through The eternal Naam, through The Satnaam. Har kai naam - if you have The Name of The Lord; n lagai jam theer - you will not be shot down by the arrows od death. Rehaao - pause and think about this. This experience of Naam, this Name of God is rathan, is a diamond, is heera, is a jewel. Niramol, I cannot put a price on it, it's beyond all value. That Waheguru whose Name it is, That Waheguru is true, forever eternal. Saachaa saahib - The forever true Master. Amar - never dying, immortal. Atol - That Waheguru's greatness is immeasurable. Atol means who cannot be measured. The greatness of God cannot be measured by any human being. That tongue becomes purified, which chants The Name of That saachaa Waheguru. Gurbani says this many times. there's another tukk from another shabad that says - naam kehath govi(n)dh kaa soochee bhee rasanaa || Your tongue can be purified by meditating upon The Name of God. Guru piaareyo, its very interesting when we look at this topic of succha, of purity. If we were to touch with our hand, our fingers, we would have to wash our hands before touching a pothi of Gurbani, before touching a pothi of Nitnem, or Sukhmani, or whatever Bani it was. This tongue is always joothhi, this tongue is always impure. But Guru Jee says your tongue can be purified by saying The Name of Waheguru, soochee bhee rasanaa, your tongue becomes pure. 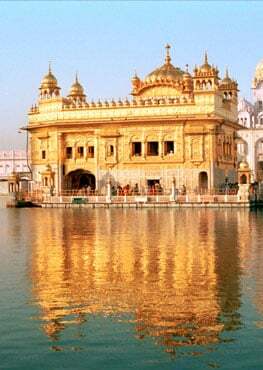 Those beings who have meditated upon The Name of Waheguru, in their ghar - in their hearts and upon their dhar - upon their tongues, they have that saachaa Waheguru. The Lord God dwells inside them. Naahee rol. Rol means to wander about, to be discarded, to be lost, to wander around aimlessly. Those beings never wander around aimlessly, they're never lost. Those who meditate upon The Name of God, they realise Waheguru inside them. Some people baisehi, some people go and sit in the ban - in the forest. Other people go and live in the ddoogar - in the mountains, the caves. But if they bisaar, if they forget The Name of God, all they are doing is pachehi - rotting in their abhimaan - in their ego. If I go and sit in the jungle, if I go and sit in a mountain, but I'm not meditating upon The Name of God, then what am I getting together? I'm only getting together my ego, I'm feeding my own ego. Forgetting The Name, not having that experience of meditating upon Naam, what does that do? It just leads to ego inside. Guru Jee says without The Name of God, what type of giaan what type of knowledge is there? What type of dhhiaan, what type of concentration is there? Knowledge and concentration are onlybeautiful when they are attached to The Naam. That giaan and that dhiaan which is attached to The Naam is beauteous. But without The Naam, what is knowledge and what is concentration? Those people who follow the Guru at all times, who are guramukh; Guru Jee says paavehi dharagehi maan - they are honoured, in dharagehi - in the court of The Lord. Not by going and sitting in the forest or doing anything else to feed their ego, they follow The Guru and they get true knowledge and true concentration. Some people practise hat(h). Hat(h) can mean stubbornly trying to control your mind; hat(h) can also be starving the body to stop yourself from thinking certain things or to control the mind. Drowning the body, burning the body, or starving the body to try and control the mind. But even whilst starving the body, that person starts thinking that there is none as great as me. No one else can starve this body like me. Guru Sahib Jee says that even while doing your hat(h), even while doing your stubborn actions, aha(n)kaar karai - even then you're burning in ego. Nehee paavai - this is not the way of finding God. Guru Sahib Jee says even when you read religious scriptures, all you're doing is lok sunaavai - telling other people what to do. When you're reading the scriptures you're reading it out to other people, but you're not applying them to your own life, you're not thinking about your own life. Instead you tell others. This is not the way of reading the scriptures as Guru Sahib Jee tells us. What's Guru Sahib Jee saying? Guru Sahib Jee is saying that if you want to read religious scriptures, you should be reading them and looking inward, towards yourself. Bharamas - wandering around at different places of pilgrimage will not take away your biaadh. Biaadh means disease, your inner diseases of ego, attachment, anger, desire, greed. They will not go by simply wandering from one place of pilgrimage to another. This is a crux. Naam binaa - Guru Jee says without The Naam, without meditating upon The Name of God; kaisai sukh paavai - how can you find peace? Only through The Naam can you find peace and happiness. Some people try many jathan, many efforts to control their lust. Bi(n)dh kivai n rehaaee, but they still cannot control their lust. When we talk about these different efforts, we're talking about efforts done without The Naam. Manooaa ddolai - their minds are continually ddolai. Ddolai means to waver. Narakae paaee - in the end they fall into hell. Even while living, their life becomes like hell. When they die, their soul descends into hell, into the cycles of reincarnation. They are baadhho, they gagged and bound down with the chains of their sins, the chains of all their desires and all their ego and greed. Lehai sajaaee - they are punished in that city of death. Again Guru Nanak Dev Jee Sahib says bin naavai - without The Name of God; jeeo jal bal jaaee - this soul is crying out, is being burnt with ego, greed, desires, anger, attachment. Again and again, Guru Sahib Jee is saying, without meditating upon The Name of God, there is no other way of finding peace. There are many sidhhs, many accomplished yogis who say we are sidhhs, we have controlled the powers of nature. Saadhhik, many people who trying to perform saadhnaas, ways of controlling themselves. Kathae mun dhaevaa, many different muni, many sages; dhaevaa, many demi-gods. In your mind, in your deep thoughts, in your every contemplation, in your veechaar, deep inside you in your consciousness, take the sabadh, The Guru's words. Think about The Guru's words again and again in your life. Try and apply them to yourself. With your tongue, repeat The Waheguru mantra again and again. All throughout your day, devote yourself to The Guur's sabadh. Gehehi - grab hold of with both your hands, gur saevaa - The Guru's saevaa, The Guru's service. How can you serve The Guru? Saevaa is everywhere you go you can be doing saevaa. Make your life saevaa, make your life serving humanity. In your mind, and upon your tongue, have The Guru's words, have the veechaar, the contemplation of The Guru's words. With both your hands, grab hold of saevaa. Do whatever saevaa, whatever selfless service you can get your hands on. If you do this, Guru Jee says your man - your mind, and your than - your body will become niramal - will become purified. Abhimaan - ego will be abhaevaa - will be obliterated from inside you, will be taken away. Only if you're blessed with the karam, with the grace of God; then you paavai, you are blessed with The Name of The true Akaal Purakh Waheguru. Only through the blessings of God can you achieve the true state of Naam, where inside and out you are coloured in The Name of God. But how can you go about achieving this? If you go into the saranaagath, if you go into the protection of God. Guru Jee says I've come into your protection. Reho subhaao, and I stay here. Subhaao has been translated in many ways. Sampardaayee scholars say reho subhaao, make it your subhaa, your personality, or your traits and habits. Make it your habit to always put yourself mentally and spiritually in the protection of God. So wherever you're going, protect yourself with The Guru's words. Always think that you are in the protection of God. Professor Sahib Singh has split subhaao into two parts: su bhaao, which means true love, eternal love. I've come into your protection, because I want to fall in love with You, O God. Only through Your grace can bhagathee bhaao, can loving devotion well up inside anyone. Guramukh means follow The Guru, dedicate your life to The Guru. Jap jaapo - mediate yourself, get others to meditate on har naao - upon The Name of God. What will happen if you do this? Houmai, your ego, your garab, your pride will jaae, will go. Man bheenai, your mind will be imbued completely in The Name of God, your mind will be drenched in the love of God's Name. But Guru Nanak Dev Jee says that through jhoot(h), through falseness and through paakha(n)dd, through hypocrisy, you cannot find God. Without The Guru's shabad, without meditating upon The Guru's Word, without meditating upon the Waheguru mantra, without listening to The Guru's Bani, without accepting The Guru's Bani, without practising what The Guru's Bani says; nehee ghar baar - you will never be able to find the ghar baar, the door of God. Sathiguru Nanak Dev Jee says that those people who follow The Guru, they've understood that this is the thath, this is the essence of all beechaar, of all knowledge. The essence of all knowledge is - Bin gur sabadh nehee ghar baar || Without The Name of God, you will not be able to find The Lord. Naanak guramukh thath beechaar - this is the essence, this is the true reality.